At Sublime, we love creativity and utilizing different printing and branding options for our clients and we do the same for our own marketing materials. We love the authenticity of Letterpress relief printing technique and it’s artistic form. 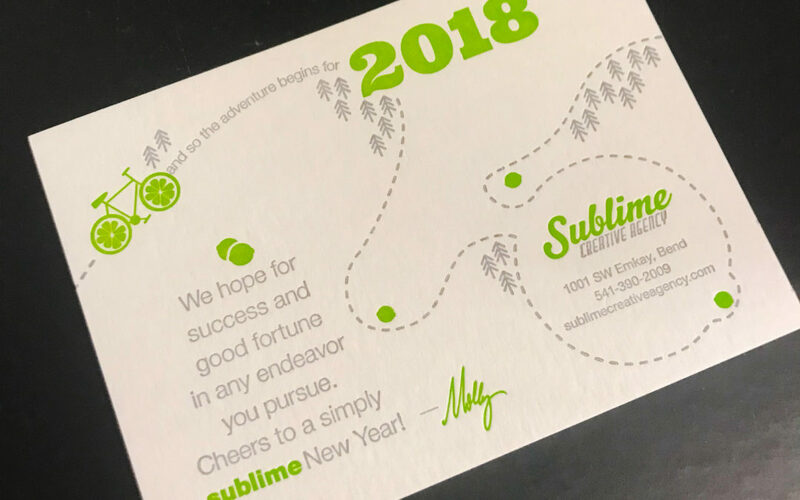 Thank you Sam at Teenee Mi Design & Letterpress for using your talented letterpress skills to partner with us and produce our Sublime Creative New Year card for 2018!